We give individuals control of their lives, at a scale that can transform entire populations. Our first product, Pivot, marks a major rethinking of how people quit smoking and how companies engage their employees. 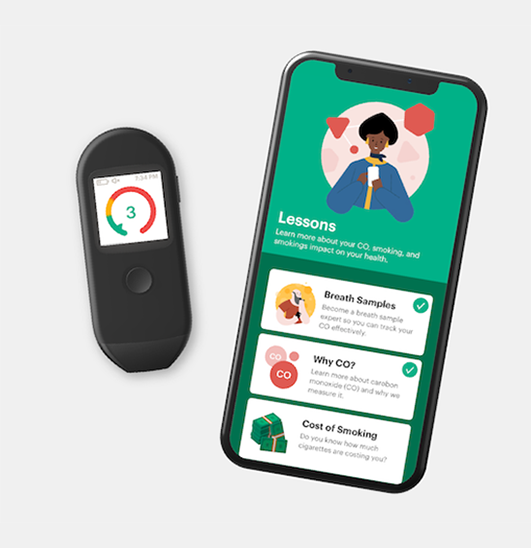 Pivot uses unique tech and behavioral science to reach smokers earlier, more effectively, and in far greater numbers than traditional quit programs — with tools to help individuals and businesses measure the resulting impact. 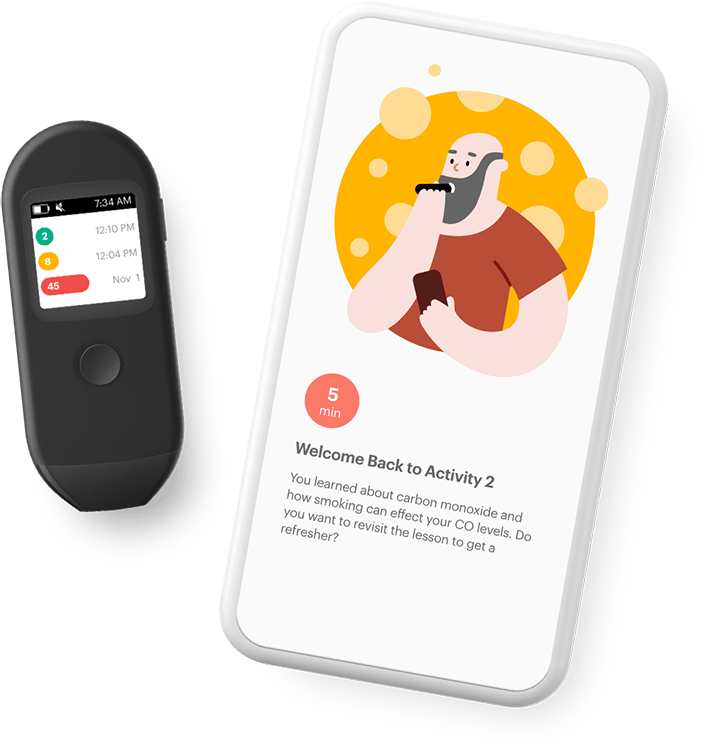 After just one week in Pivot, 70% of clinical study participants reported that use of our FDA-cleared sensor increased their readiness to quit. From our Pivot dashboard to our innovative client reports, participants and employers are able to see precisely how Pivot is changing their lives and businesses. More than half of Pivot users in one clinical study started the program saying they weren’t ready to quit smoking. They ended up quitting at the same high rate as those who said they were ready to quit. Carrot started with a hardware patent and has evolved into a company that uses technology and behavior change to amplify each other. Core to everything we do at Carrot is a model of behavioral science that focuses on individual empowerment, internal motivation, and lasting change. We’re not making this stuff up. Our team of physicians, scientists, and engineers starts with the evidence base, refines through testing, validates in studies, and publishes the results. Did we say Carrot started with a patent? Actually, that patent started with a design-based understanding of user experience. Our designers build for true engagement and transformation. What’s that? You’re so intrigued you want to join the team? Awesome! We’re always on the lookout for good, talented people. Click below to see our openings or just drop us a line.